The days are long and hard. Full of nonstop needs and wants. You are exhausted and haven't slept through the night in who knows when and your morning wake up call is screaming "mom" down the hall, even though the sun just barely started peeking through the windows. Your hair, well you don't really remember when you washed it last. You have snot on your shirt even though it is out of the clean pile. You have cleaned multiple bottles, sippy cups, and dishes yet the sink never seems to be empty. There are toys and clothes in the family room again after you just cleaned it up. Those deep dark circles under your eyes, you know the ones you thought you would never get, well they are there now staring back at you in the mirror. But dear mom, I see your heart. The tears, the hard labor, and the sleeplessness you put in to serve your family and care for them. 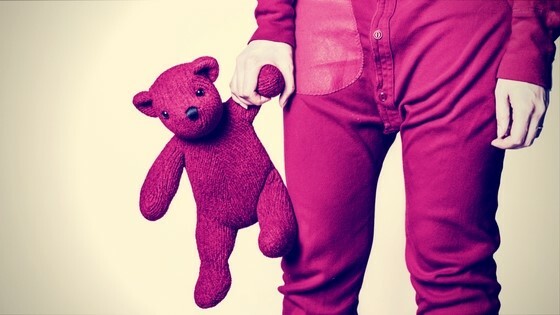 Whether it's working all day or even night, then coming home to be a mom or your home with your kids during the day. The work is all the same and our hearts are all in the same place. It's a 24/7 job that you never can call out of. You see we are in the trenches friends. We are on the front lines for these little souls that we have been given to care for. 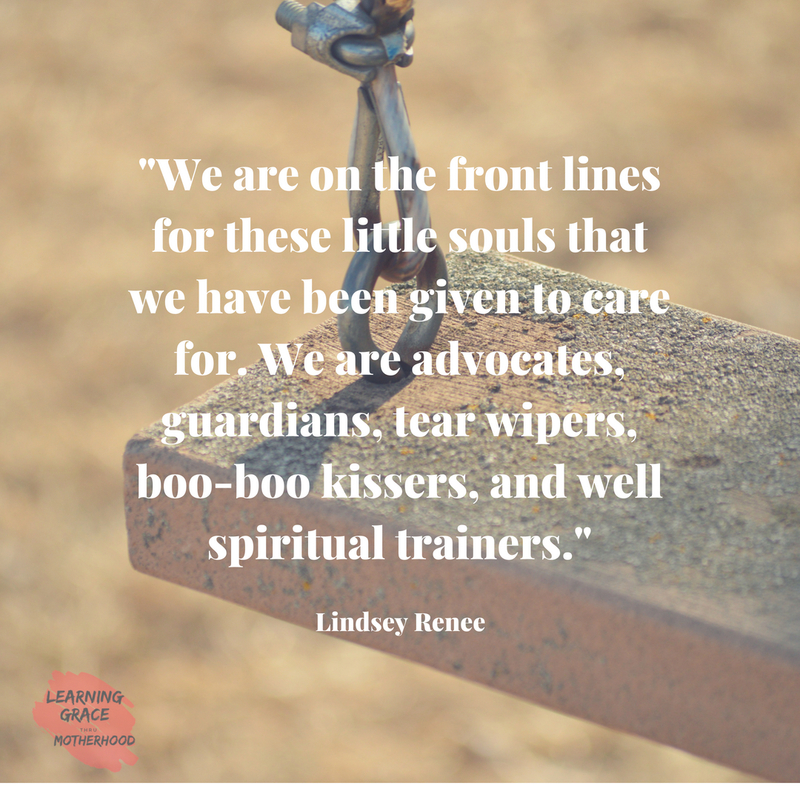 We are advocates, guardians, tear wipers, boo-boo kissers, and well spiritual trainers. As mothers, we are the ones who can teach our children about our Father. Yes, we may be flawed and sinners but so are our children. 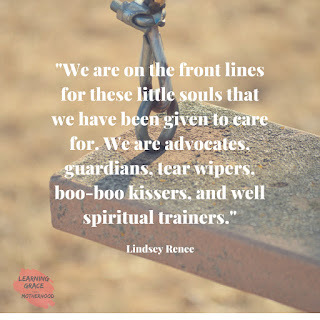 They need to see that we too are in need of the same grace that they need. They need to know that God uses the ugliness and the brokenness to shine through. His story is not over in us until our last breath. So dear mom, stay on your knees. Keep praying for their hearts, because the battle is waging for them. Be consistent. I know it feels like the same thing ever time but be consistent in discipline and love. Let them know that you too disobey and have to come before the Father and ask for His forgiveness. You are still working, just like they are working on their sin. And most important keep pointing them to the gospel, what the end story is all about. God's glory and the story of redeeming love for his children. You got this dear mom of Little's. Stay strong in battle. Don't forget you need equipping, so stay in the Word and don't forget you have the power to overcome. Remember you aren't alone and you aren't failing them. I think this is one of the biggest things the devil uses to try and lead us astray. Remember God is writing their story for them and he chooses you for them. Most important, He loves you, as much as He loves them. He sees your hard work, the love you pour into them. He sees the tears you cry too. His arms are wide open for us, He is a comfort on the hard days and refreshment to our souls. He fills our hearts with joy and gladness and gives us the power to keep going. So today, if you are like me, feeling weak and weary in this motherhood job. Remember this truth - you aren't alone.